Whether you are looking for love or just want to have some fun.! 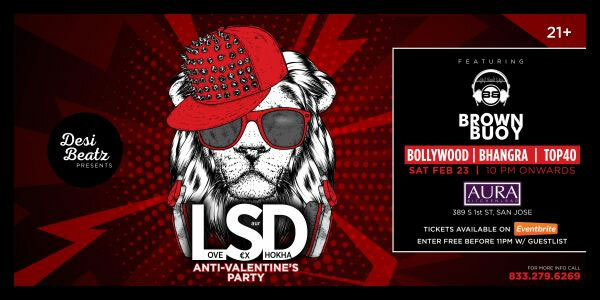 Having a Twist on Cupid’s Classic Week by partying with un-attached friends, crushes or dates on this Valentine’s WEEK with Desi Beatz. 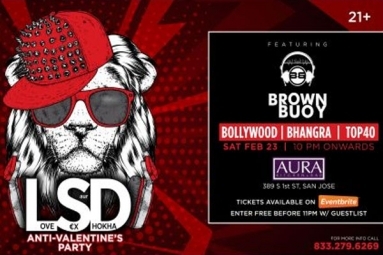 Our resident, DJ Brown Buoy from Delhi - Spinning best of Bollywood, Bhangra & Top40! Dress to kill the dance floor. No Sleeveless, No Shorts allowed at the venue.